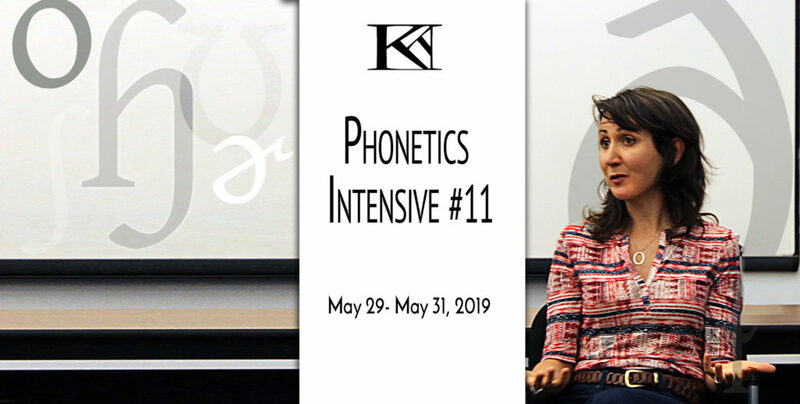 Join Master Teacher Andrea Caban and Certified KTS Teacher Tyler Seiple online for a Phonetics Intensive from June 4th to June 6th, 2020. This course will be online only. All documents and audio materials will be shared through an online platform. Click here for a full description of our Phonetics Intensive workshops. Please note that Experiencing Speech is a prerequisite for the Phonetics Intensive. The workshop will be held online through a video conferencing software. The days will run from 10:00am to 5:30pm PDT. The total cost for the workshop is $400. Spots are limited. All questions to knightthompsonspeechwork@gmail.com. In order to plan effectively for these workshops, it’s important to have a clear sense of the commitment of potential participants. For that reason we ask for a deposit of $100 to secure your place in the workshop 6 weeks prior to the start of the workshop on April 23rd.